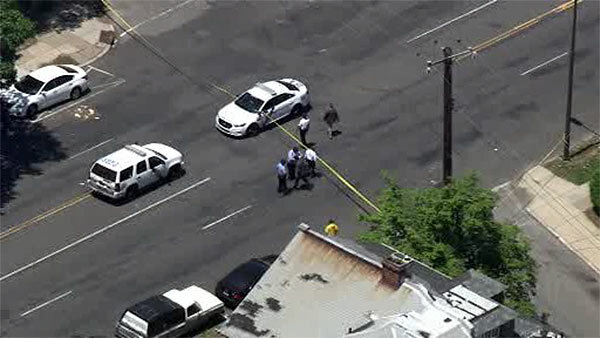 WEST OAK LANE (WPVI) -- A man and a woman were wounded in a shooting on Friday afternoon in Philadelphia's West Oak Lane section. The shooting happened around 12:45 p.m. near the intersection of Broad and Haines streets. A 20-year-old man was shot twice in the chest and once in the leg, while a 20-year-old woman was shot in the chest. They were taken to the hospital in separate private vehicles.